Some products are built purely for oneэs eyes only. Designed to uplift spaces and enrich lives, the Levimoon is one such product. 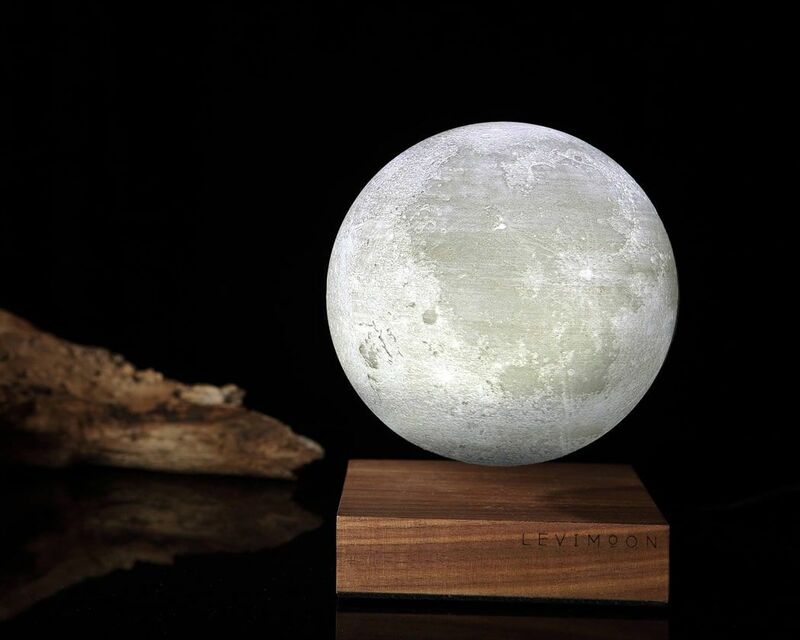 Designed as a replica of our very own satellite, the Levimoon is a levitating moon-like orb that can float, rotate, and even light up in mid-air! The levitating base comes made from walnut wood while the moon itself is a 3D printed PLA replica (1:23160000th scale) complete with all surface details. 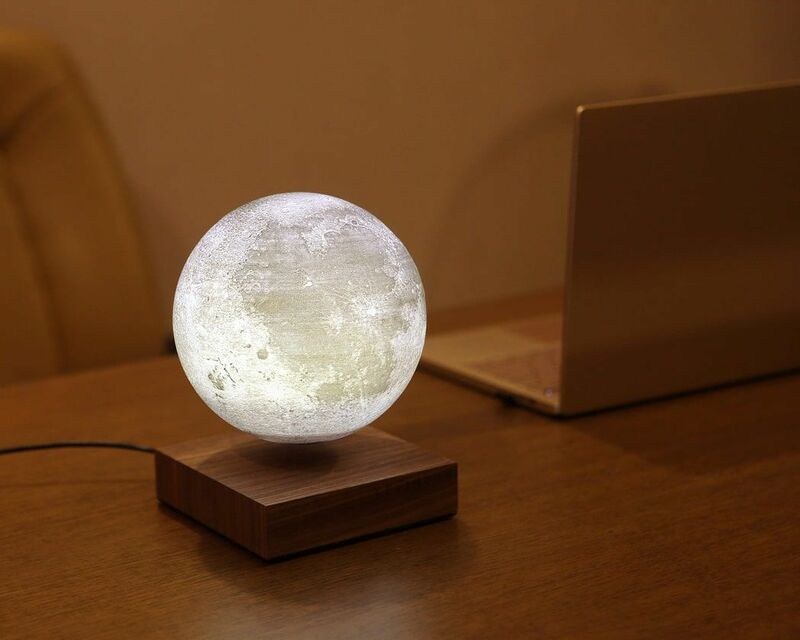 The moon comes with its own internal lighting system thanks to an LED and a 1500mAh battery. The moon floats elegantly on its special levitating base (even rotating to display its elusive dark side that we humans donэt see). 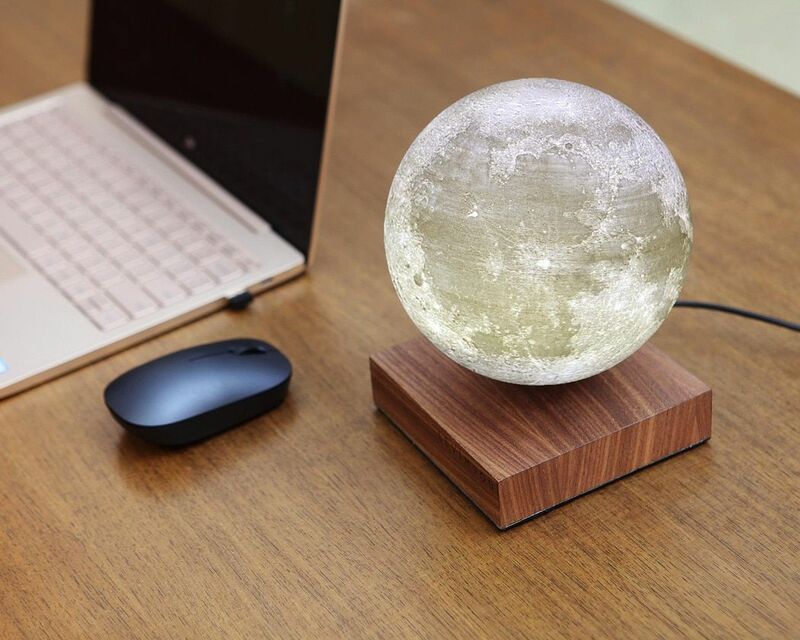 The base also acts as a wireless, contactless charger for the battery inside the moon, powering the LED within it that can be switched on or off via a button at the base of the moon. Holding your finger against the switch even allows you to adjust its brightness, giving you anywhere from 10 to 100 hours of illumination! 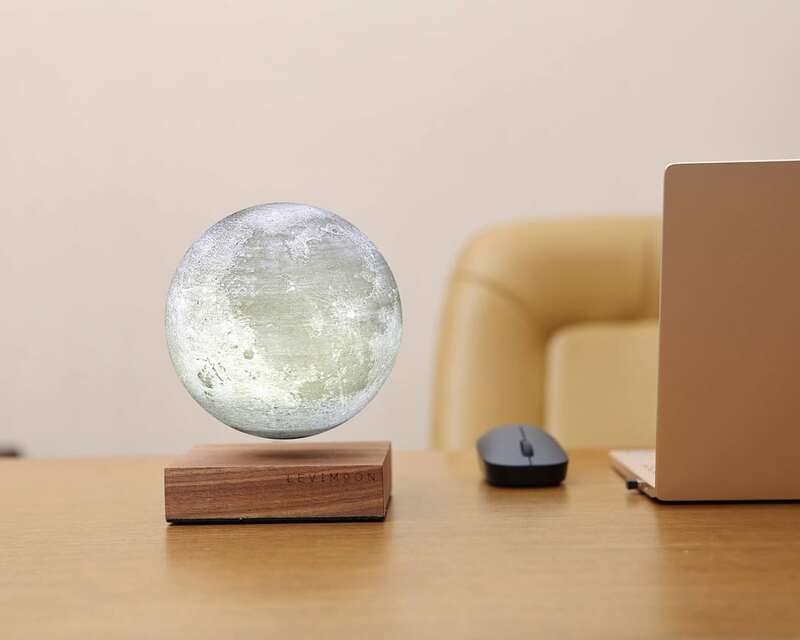 The moon can be used independently too, being carried around the house, but it absolutely comes to life on its bespoke levitating base that allows it to be its true tranquil, anti-gravitational cosmic self! 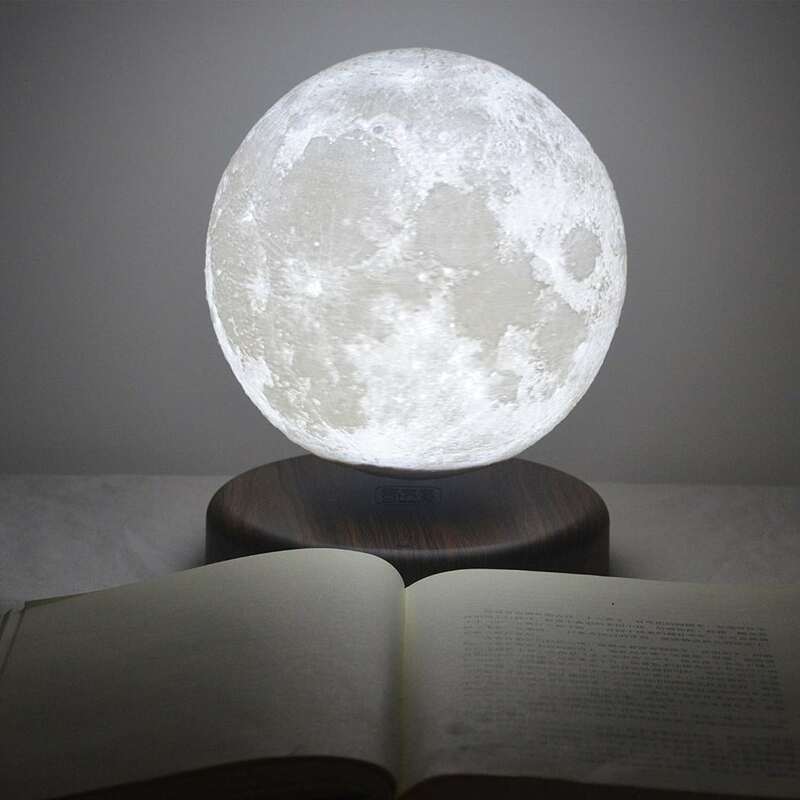 And be sure to check other creative moon lamps: Luna and Moon Light.